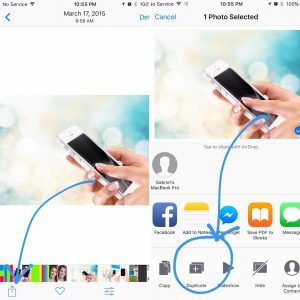 Also referred to as the camera roll, you can crop your photos to different aspect ratios right within your iOS Photos app. Just tap and select the photo. Tap the edit button. Tap the Crop button. You can go ahead and crop freestyle by moving the white corners. 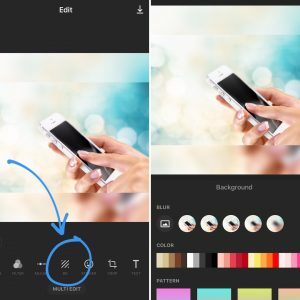 If you want specific cropping, tap the aspect ratio button in the bottom right-hand corner. You will notice different aspect ratios. Pay attention to this part because it’s the only tricky issue when it comes to cropping in the native Photos app. If your photo is more portrait size (tall) in nature, you will be given only portrait size cropping options (except for square). If your photo is landscape in size (wide), you’ll be given only widescreen options. See how the numbers flip-flop depending on the type of image? 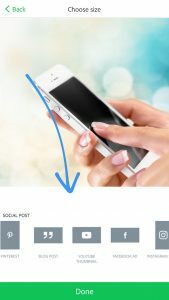 So, how do you work around this if you want to crop a widescreen photo vertically, say for Instagram Stories? Well, first tap Cancel and go back to the main cropping page. 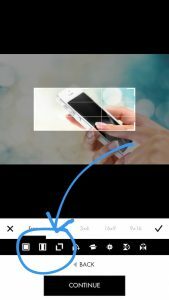 Use the freestyle corners and crop your widescreen photo until it appears to be at least square or now vertical in size. Once you tap the Aspect Ratio button again, you’ll now see that the sizes have flipped from landscape to portrait sizes. Make sense? I hope so! In this Gif you can see how the numbers swap places once the image is cropped from landscape size to portrait size. Select the photo > Tap the Upload button > Tap Duplicate. Now you can resize/crop the duplicate however you want and know that your original is safe. 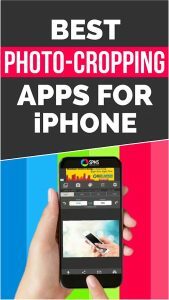 You often don’t need a third-party app that is specifically made to only crop photos. 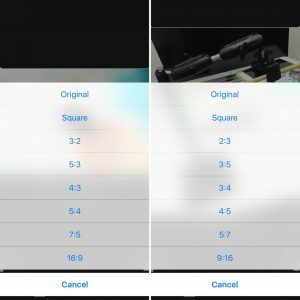 Typically you can find cropping options in any quality photo-editing or graphic design app (I have a whole blog post dedicated to social media sizing apps here). 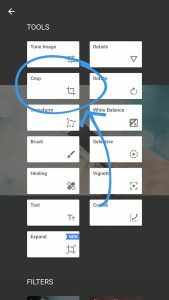 Here are some of my favorite editing apps and where you can find their cropping tools. What if you want to resize your photo without cropping it and losing any of the actual photo? My go-to is the InShot app. 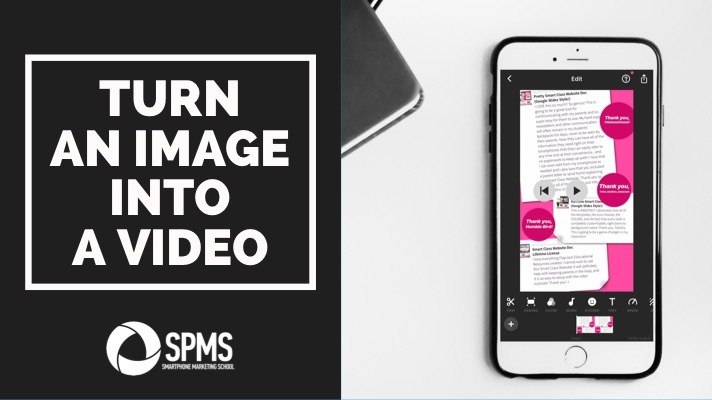 It will resize any photo or video to whichever aspect ratio you’d like and fill the remaining background margins with either a solid color, another image that you choose, or blurred spacing. Tap Canvas for different aspect ratios. Tap Background for the different options for filling in the phone background margins. 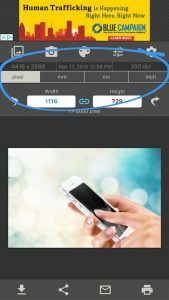 Now what about if you need a photo cropped to specific number of pixels or inches? Well, my favorite app for this job is the Image Size app. Tap the Photo button and upload your desired image. Make sure the measurement you want to crop or resize with is selected (at the top). 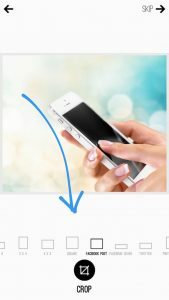 Type in the number you want to crop your image to for the width and the height. 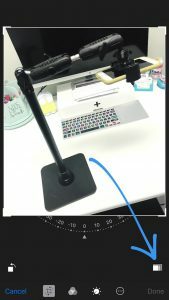 If you just want to adjust the width and have the height automatically adjust proportionally (I do this to make photos smaller for blog posts, Pinterest, etc. ), then make sure to tap the Lock icon in the middle. If you want it to crop and not adjust proportionally, then make sure the Lock button is not selected. Then type in your numbers for both the width and the height. 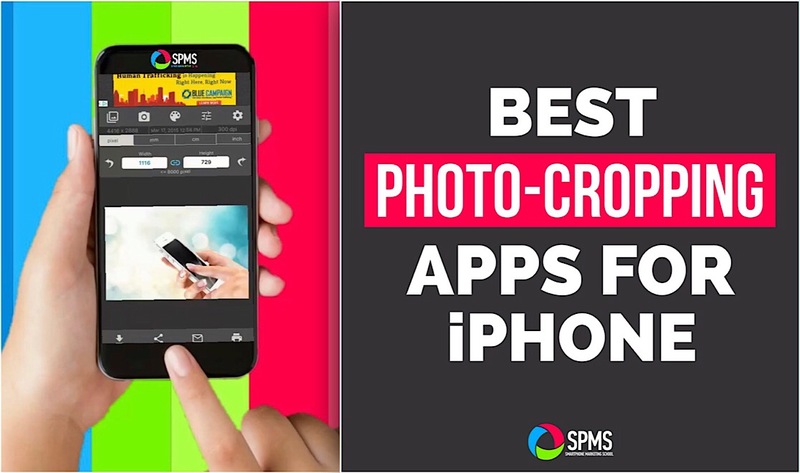 So these are some of the best photo cropping apps for iPhone. Do you have a favorite I haven’t mentioned? I’d love to know! If you’d like to remember this post later on, be sure to pin this image (resized with the Image Size app of course 😜) to your Pinterest account.